This driveway gate in The Heights met all the homeowners needs! This subdivision in The Heights (Houston) does not leave much room for expansion. The older homes are close to each other. That is one the things that makes it unique and sometimes hard to get everything you want out of a driveway gate. 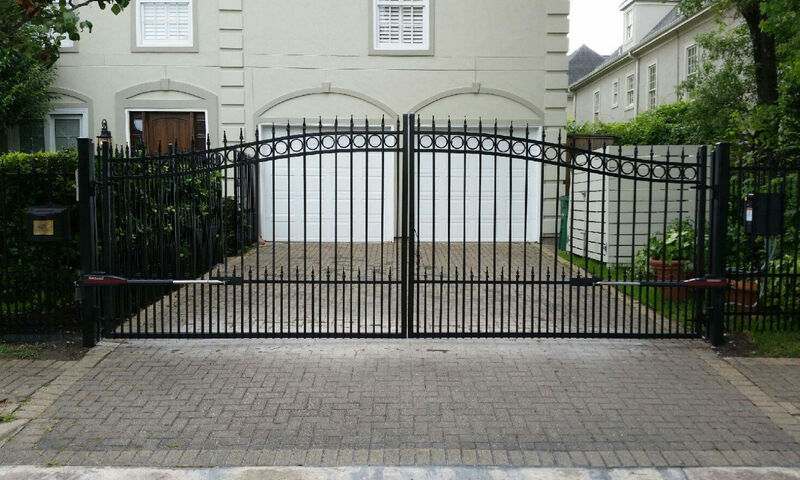 The owners of this home in The Heights called us looking for a driveway gate that was “elegant”, “secure”, and “convenient”. Most gates & fences in The Heights already have an elegant look & this home was no different. What it did not have was the secure and convenient part. We were able to design and install this gate that the homeowner absolutely loves! As far as driveway gates go this iron construction is as secure as it gets. The Apollo gate opener allows for the ultimate convenience! The gate opener feature can be operated from a vehicle and from inside the home. At Sentry Garage Door & Gate we take pride in all the projects we accept. This driveway gate in the Heights is a great example. If you are looking for the best. At a fair price from a company with a hard earned reputation we invite you to check out our BBB A+ Rating and then call to set up a free consultation today (281) 520-3984!